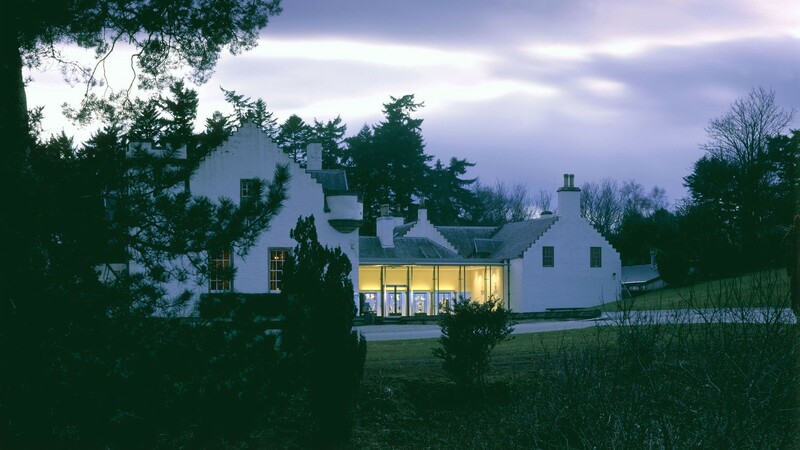 Jamie Troughton and Hugh Broughton Architects designed new visitor facilities at the North End of Blair Castle in Perthshire. The Grade A listed castle is the most visited private house in Scotland. The new facilities include a rationalised and extended shop, improved restaurant and servery with refurbished back of house catering facilities and a new exhibition hall at the end of the visitor tour. 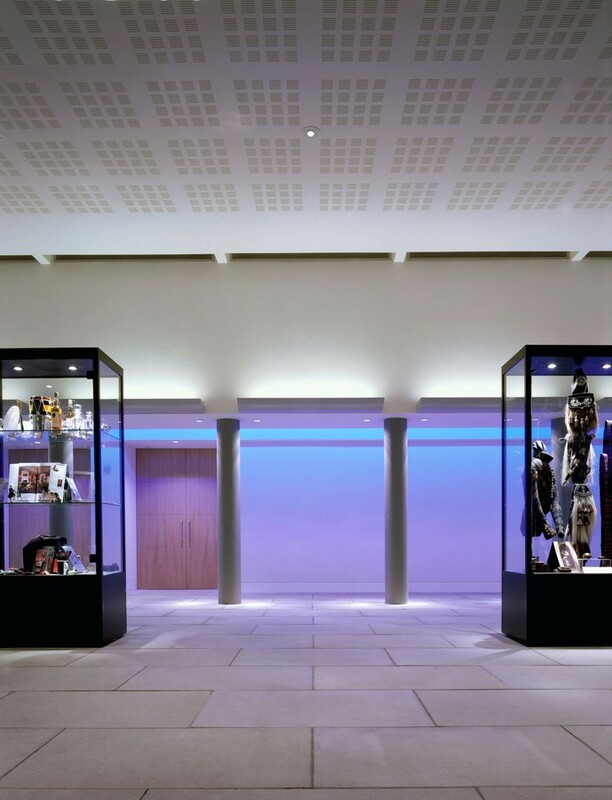 The project won an RIBA Award for Architecture, a Civic Trust Commendation and a National Lighting Design Award. The majority of the North End was constructed between 1750-58. The 7th Duke of Atholl undertook major alterations from 1867, including the construction of the ballroom and crenellation of the whole castle (designed by David Bryce). 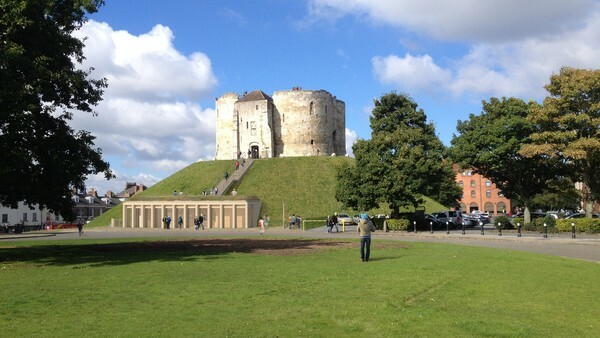 The new scheme opens up the North End, improving visitor flows and providing a light and contemporary counterpoise to the enclosed organisation of the main body of the castle. 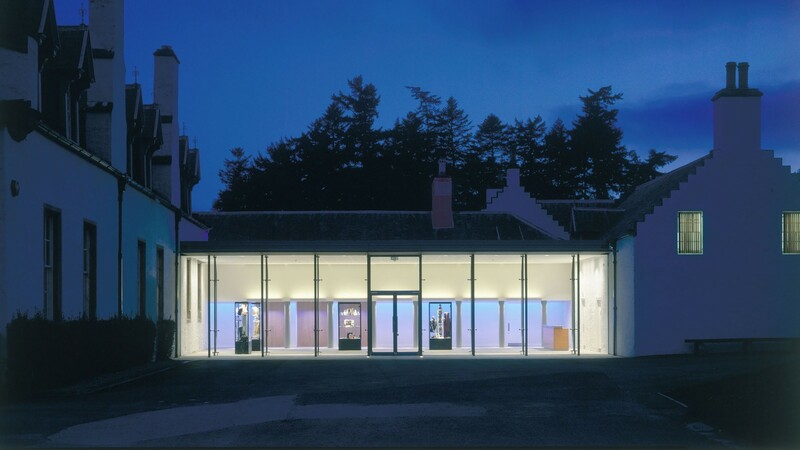 A 200 sqm steel-framed silicone planar glazed exhibition hall has been formed between Bryce’s ballroom and an extended services block containing toilets and staff changing facilities and which is finished with harling and has re-used existing crenellated copings to give the allusion of the new lightweight hall being wedged between older more solid construction. 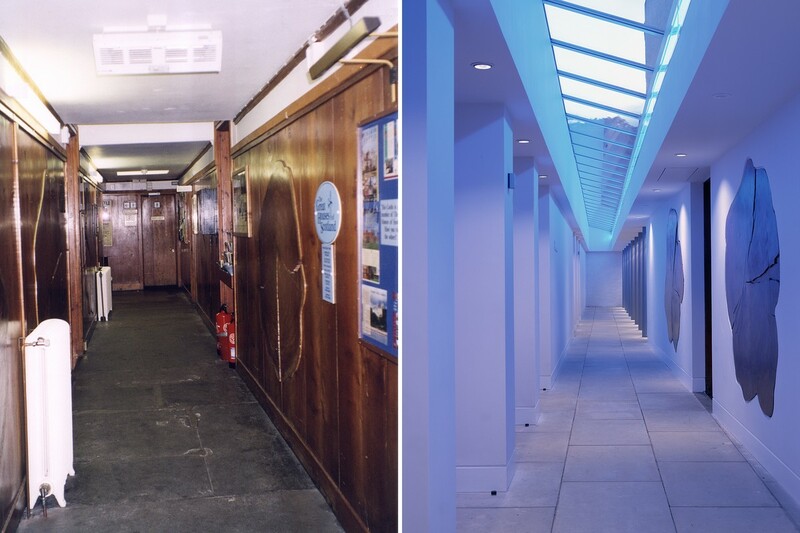 A 40 metre long glazed rooflit slot replaced a dark corridor and separates the exhibition hall and ballroom from the catering facilities. This space provides a clear route from shop to café to exit hall. 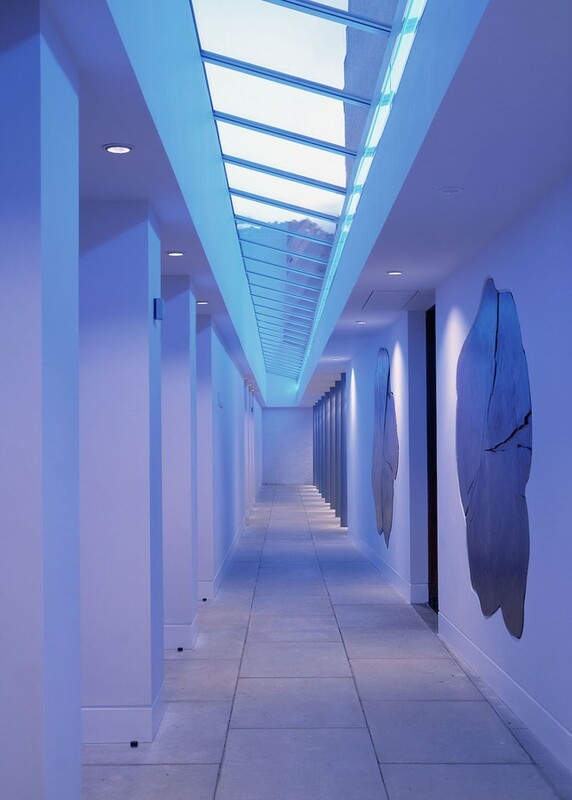 At night the slot is dramatically lit with a continuous blue cold cathode set below the rooflight. Concealed rendered doors set into the ballroom façade enable direct access from the hall to the ballroom for functions and from the exterior to the ballroom for function deliveries during the day.